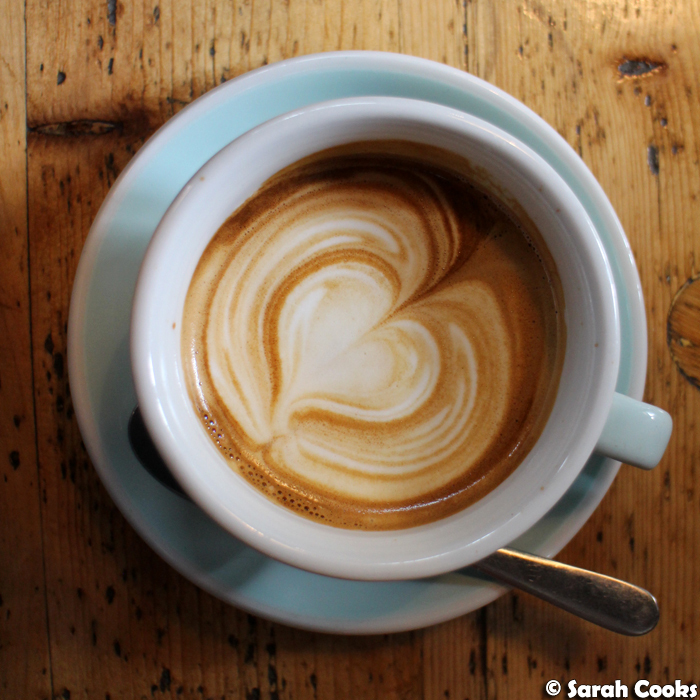 I noticed the other day that I rarely blog cafes and brunches any more. 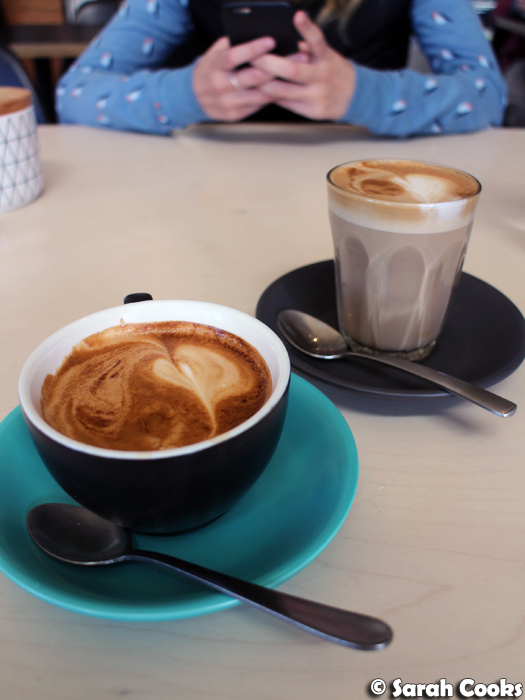 I was looking through the photos on my computer and realised that I had heaps of pictures of brunches just waiting to be turned into a sparkly blog post. I don't brunch super-often (once every six weeks or so? ), but each time I do, I still dutifully whip out my camera and iPhone each time and take some pictures. I always post my brunches to Instagram, but seems like here on the blog I've been concentrating more on recipes and travel posts, with the occasional restaurant post thrown in. Well, let's rectify that! 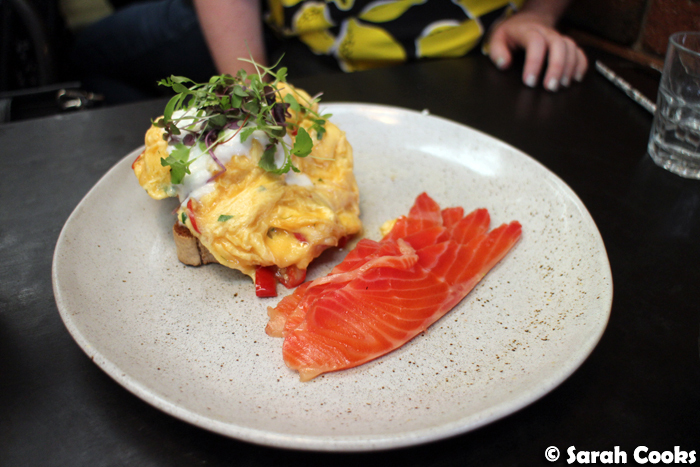 We're lucky to have an excellent brunch scene here in Melbourne, and I'm happy to celebrate it! Here are some great cafes I've visited in the past few months - some of these were invites, some were regular paid visits, all were delicious. Let's take a look. 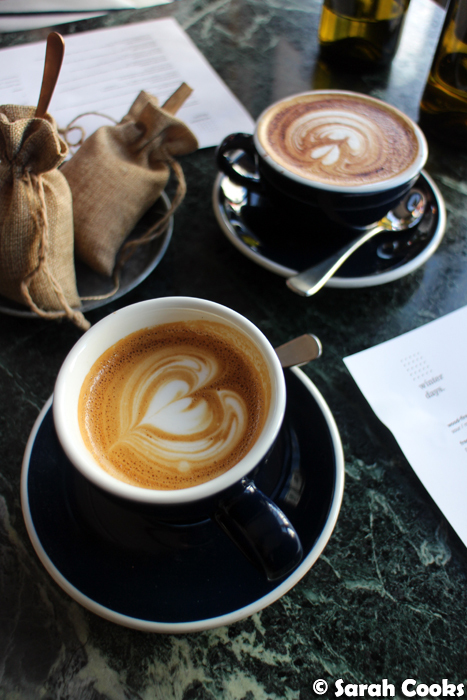 I was invited to check out Street Talk Espresso, a low-key cafe in a stretch of shops on High street in Armadale. 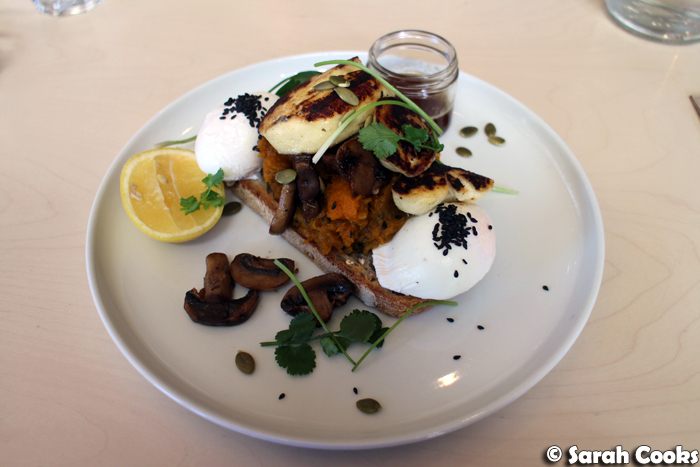 Coffees were great (no latte art but good flavour), and our brunch dishes were very tasty. 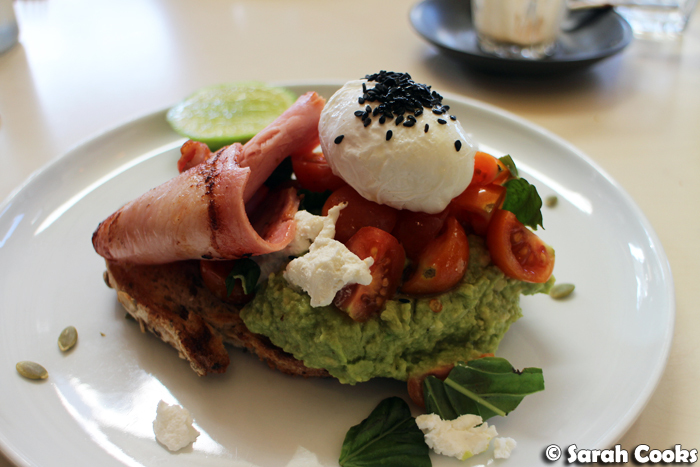 The smashed avo was generous, with lots of avocado, bacon, a poached egg, cherry tomatoes and nice chunks of feta. However, the "Peter Peter Pumpkin Eater" dish was outstanding! Roast pumpkin smash! Mushrooms! Poached eggs! Charred haloumi! And if that wasn't enough, a little pot of browned butter for you to pour over it all. Heaven. 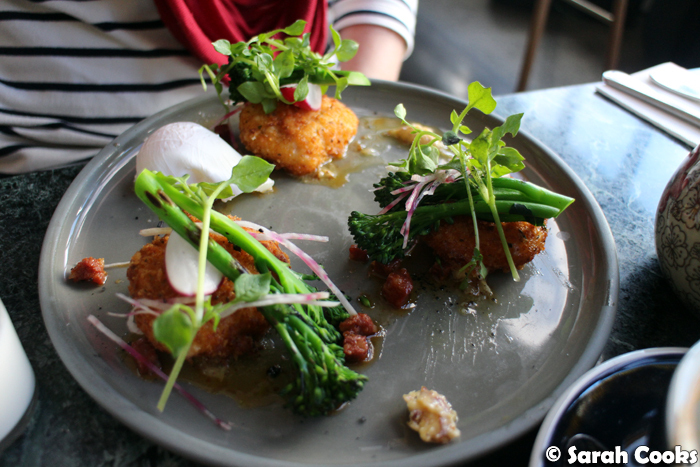 The food is regular brunch fare with a creative twist, presented very prettily. 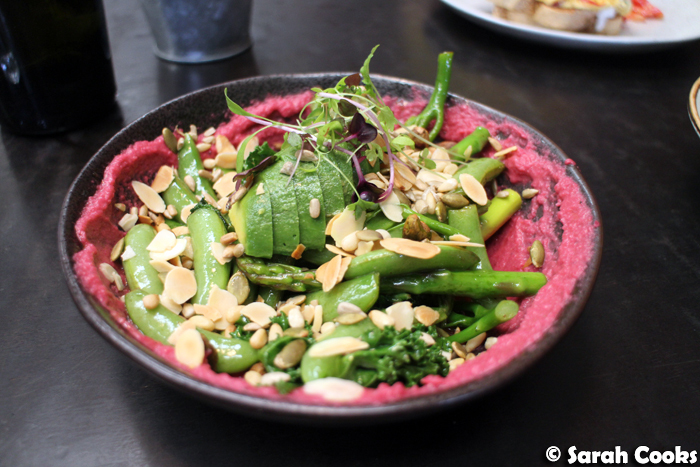 They seem to change their menu seasonally, so I don't think these porridges are available anymore, but I couldn't resist sharing them because they were so good! 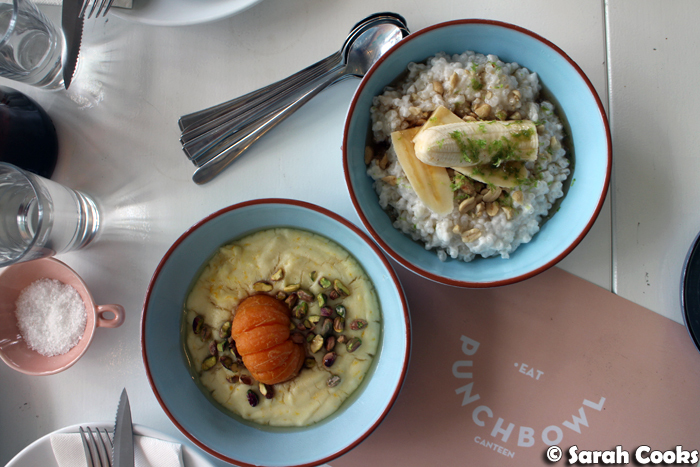 There was a coconut tapioca porridge, with salted peanuts, lime and banana, as well as a semolina porridge with mandarin and pistachios. 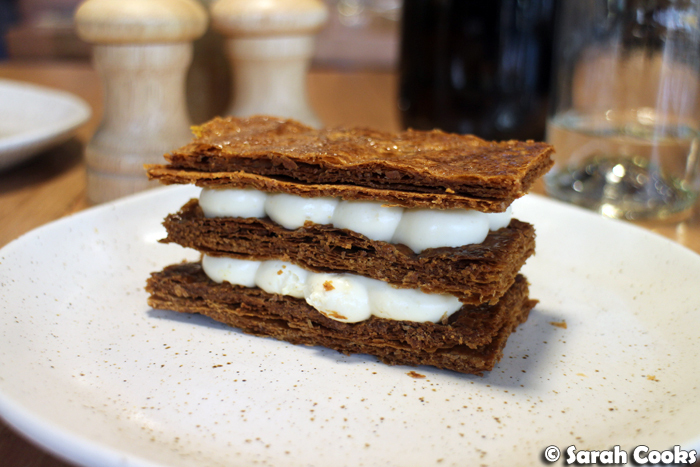 The next two dishes seem to be on their current menu - enjoy! 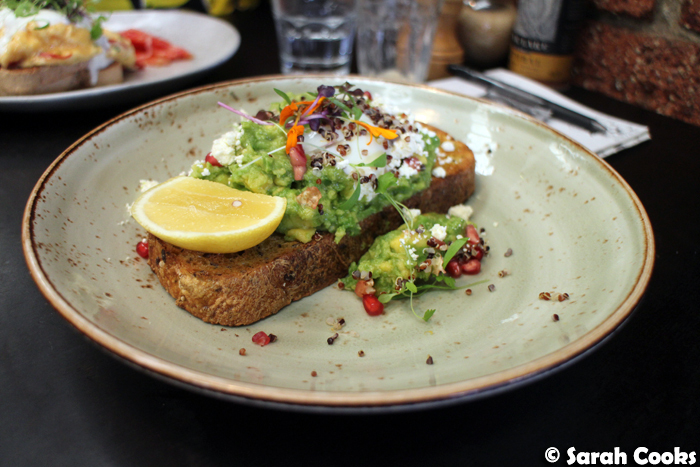 Their avocado on toast was a fresh take on the cafe staple. 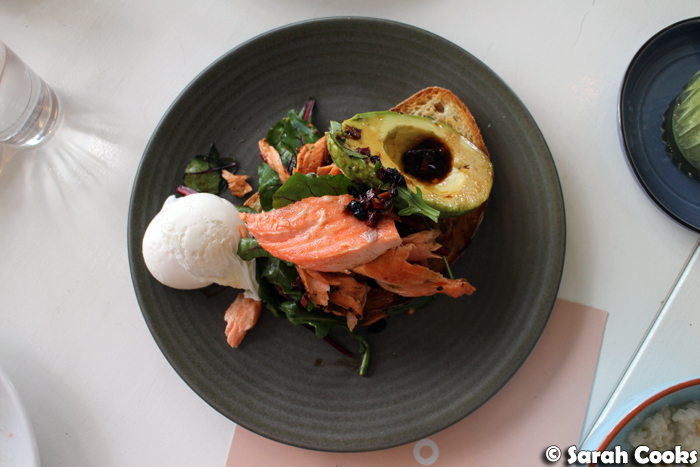 Here, the avocado is halved and topped with a punchy blackbean dressing, served with house-smoked salmon and a poached egg. 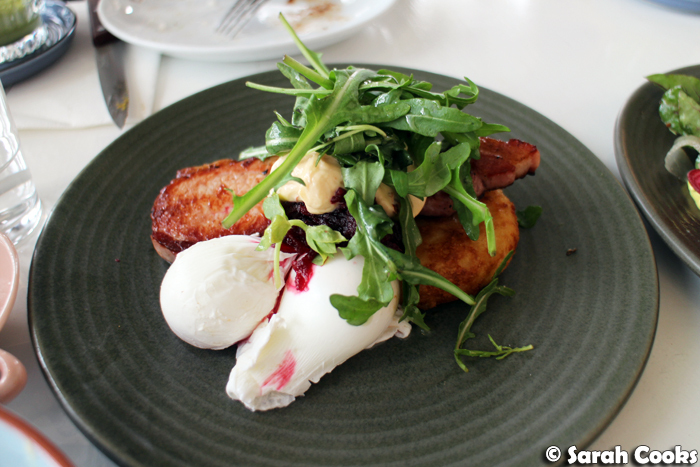 Also impressive was the thick cut bacon - a slab thick of bacon on a gruyère-studded potato cake, with a poached egg and the added deliciousness of chipotle mayo and beetroot relish. 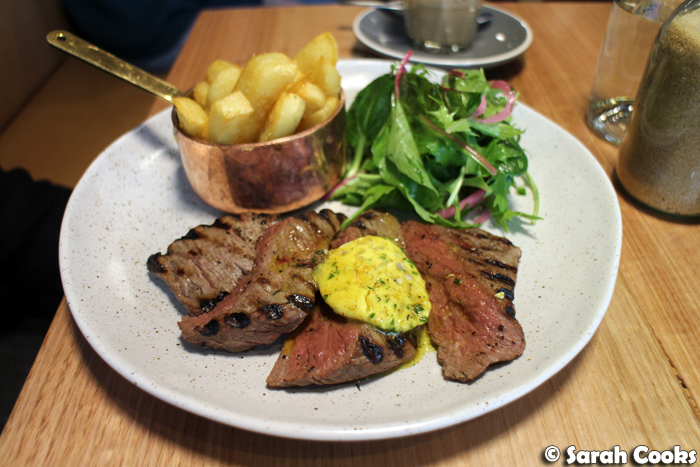 Shanklin is a new-ish cafe on a surprisingly foodie-centric stretch of otherwise residential Tooronga road in Hawthorn. (There's a great fruit and veg shop a couple of doors down, as well as the fantastic McCoppins gourmet grocery store). They're dog friendly, they've got a good range of sandwiches and cakes in the cabinet, good coffees and great brunch dishes. We've visited a few times now (no invites, all paid), and it's a great local! In addition to the dishes above, I can recommend their roast vegetable foccacias, the baked eggs shakshuka, the chunky avocado on sourdough, and the gigantic Shanklin breakfast (2 eggs, bacon, chorizo, spinach, mushrooms, grilled tomato, potato rosti & grilled halloumi, all for $23). 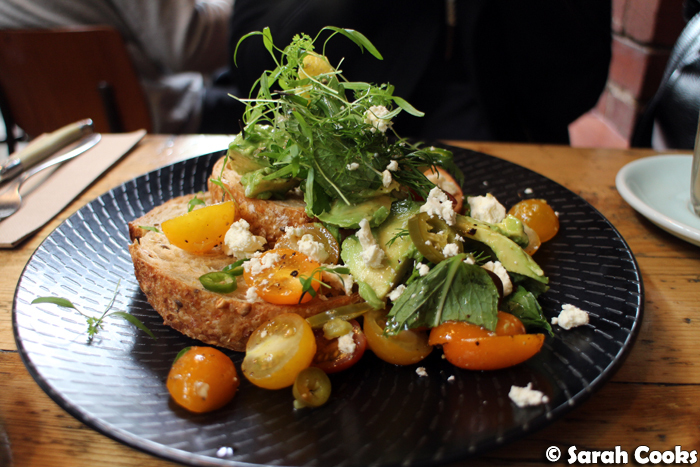 We visited Percy's Aeroplane one afternoon for a late brunch, using our usual method for choosing a cafe - flick through Instagram, see an awesome-looking brunch dish, check the location tag for that cafe, decide if we want to visit the cafe or not. 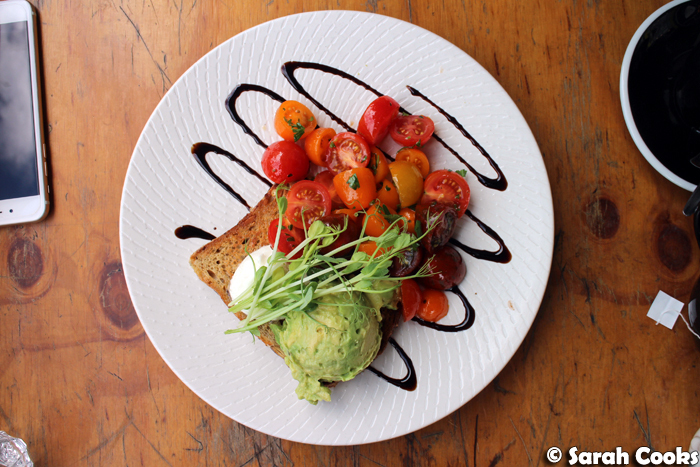 Sandra's avo on toast was simple and tasty, with a poached egg and a generous tumble of well-dressed cherry tomatoes. 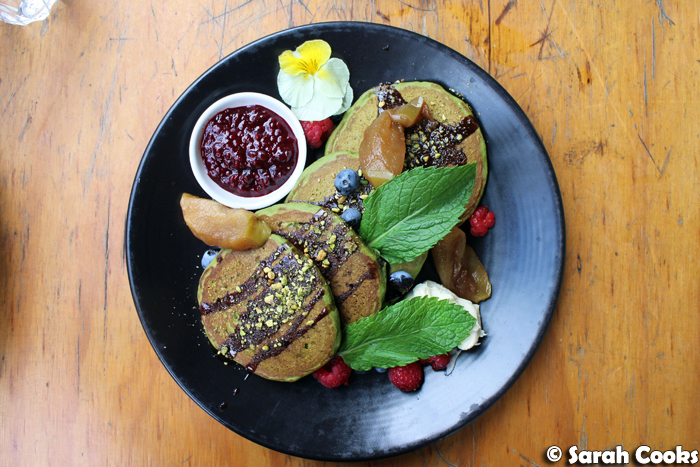 I ordered the matcha hotcakes, because matcha hotcakes. These normally come with a nutella donut (ahem!). Now, I'm not into freakshakes or any of those uber-decadent foods, so I asked if they could just do it with the hotcakes, and they were happy to do it. Yay! The price was $17.50 with the donut, and they kindly offered to shave a few dollars off the price because I requested it without the donut. The hotcakes were good, especially with the chocolate drizzle, jam and whipped cream slathered generously on top. 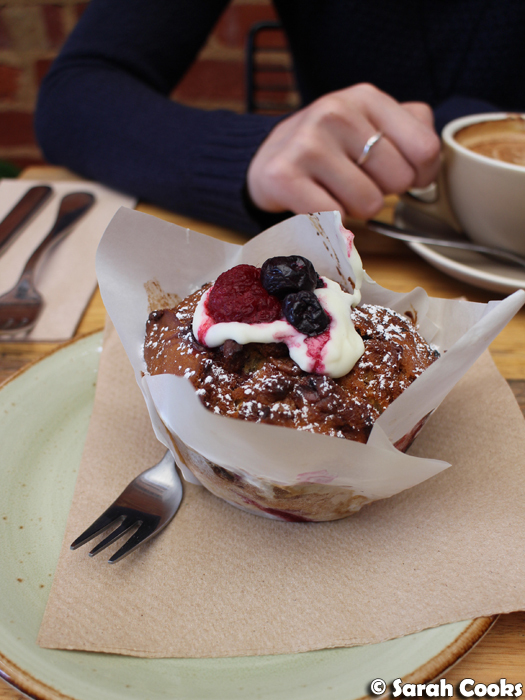 Faraday's Cage, in the backstreets of Fitzroy is both bakery and cafe, and a very warm and pleasant spot for a meal! 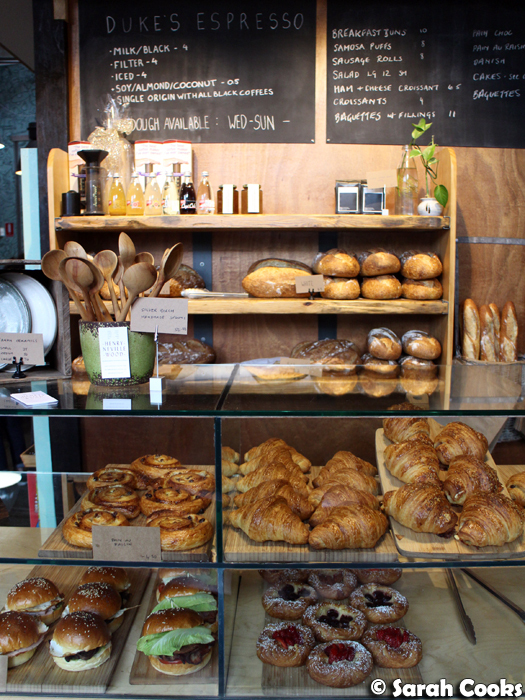 They bake all their own bread and pastries, and do really good brunch dishes. We came here on an invite, and I'm very glad that we did, because I might not have heard about this venue otherwise! 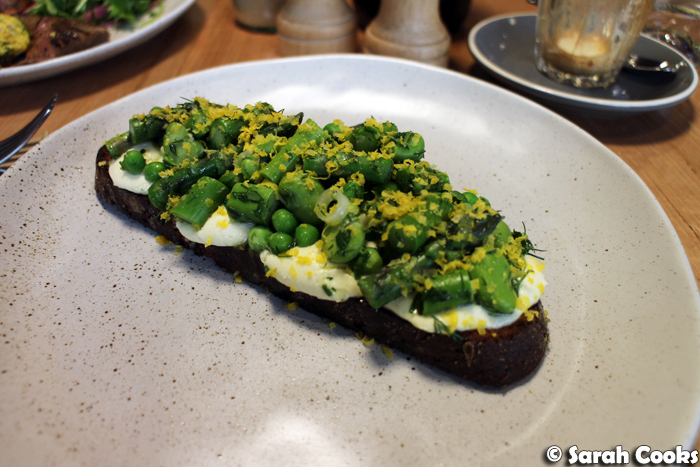 Both dishes that we tried (avo on toast for Sandra, sourdough with housemade ricotta and spring vegetables for me) were great, delicious bread and generous toppings with good flavours. We came to Hobba for brunch one morning with our friend Emma, recent-ish arrival from Sydney and Melbourne-brunch-enthusiast. 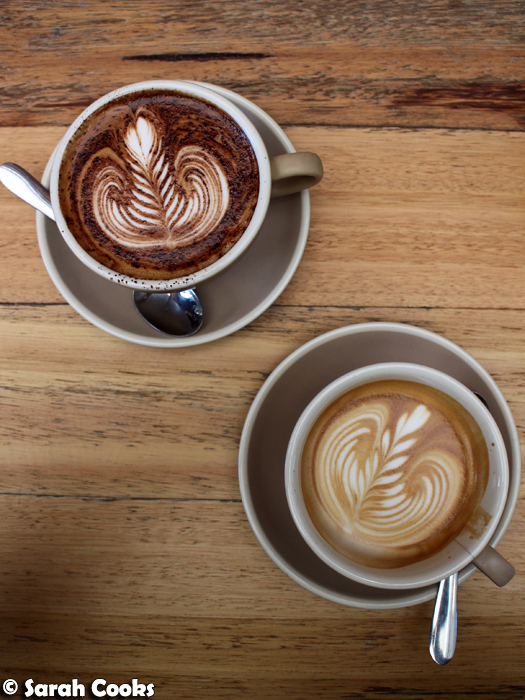 It's what you might think of as a typical Melbourne brunch spot - big warehouse vibe, queues on the weekends, pumping out the food and coffees to hungry locals. We were seated on high bar stools, which I didn't love - I'm a grumpy old lady and prefer a comfortable seat - but apart from that it was a nice brunch. Sandra and Emma's dishes were less pretty but still very tasty. Love the look of that cured salmon! And finally, Abacus! My friend Alaina suggested this cafe for brunch before seeing a movie at Jam Factory. It's relatively new, located on Chapel street near Prahran Market and opposite the 24-7 KFC (don't pretend you don't know where that is). I think the building used to be a bank, but now it's been converted into a shiny cafe, all high ceilings, natural light and pretty table settings. 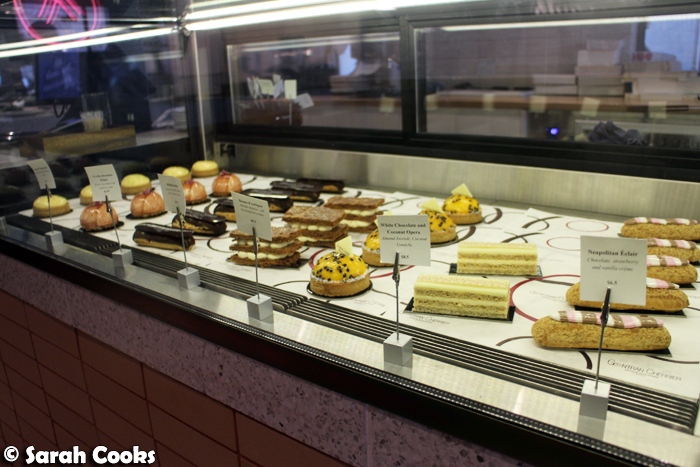 It seems to be really popular, with a steady stream of patrons queuing for brunches and takeaway coffees. Alaina's speck and gruyere croquettes were well made and full of flavour, if a little small for a $23 dollar dish. Sandra and I both ordered the sweet ricotta dumplings. (I know, it's cardinal food blogger sin to order the same dish as someone else on your table, but the stomach wants what the stomach wants). 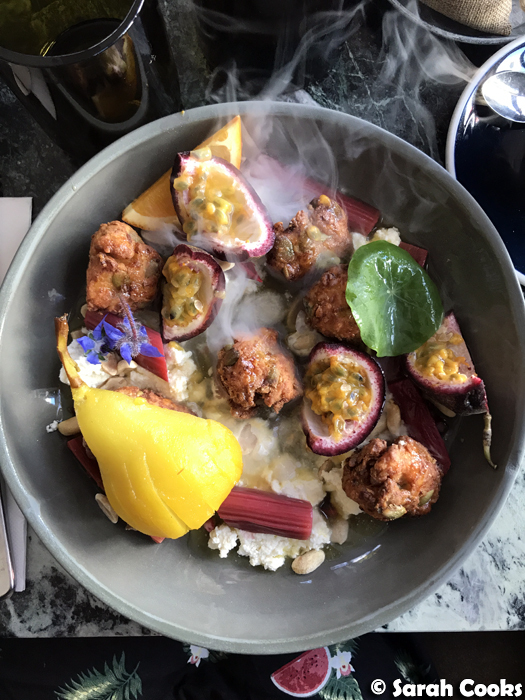 This was next level fancy brunching - after the pretty plate was placed in front of us, our waitress poured a kettle filled with dry-ice and passionfruit and pear tea over the plate, giving theatrical smokiness (and of course the flavour of the passionfruit and pear tea). I found the idea of eating fried ricotta dumplings sitting in a cold sweet liquid a bit odd (I guess I was expecting more of a donut or a fritter? ), but the flavours were very good and I liked the fresh fruity citrus accents that the tea gave the dish. And that is the end of my post! Woop woop! After going back over these brunches, I'm totally in the mood to brunch, and to brunch hard! All the eggs! All the coffees! All the queues! (Eh, hopefully not so many of those). 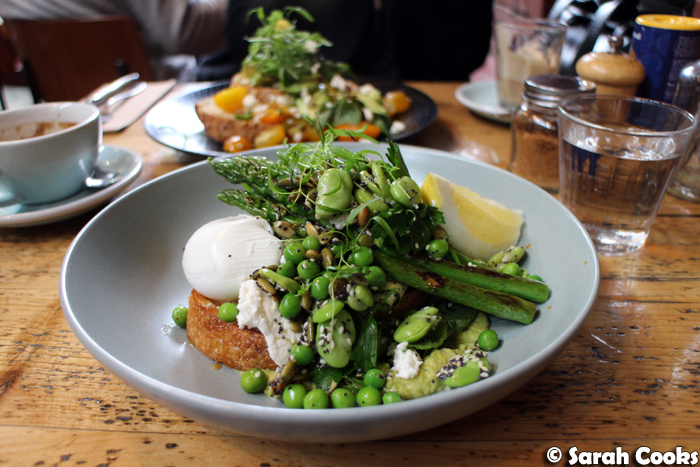 Please hit me up in the comments with your recommendations for fab Melbourne brunches! Wow that's a comprehensive brunch post! I have to admit I got rather distracted by the idea of the charred halloumi and browned butter! Wow I want to eat those ricotta dumplings with the dragonfruit. And the toast with ricotta and asparagus. 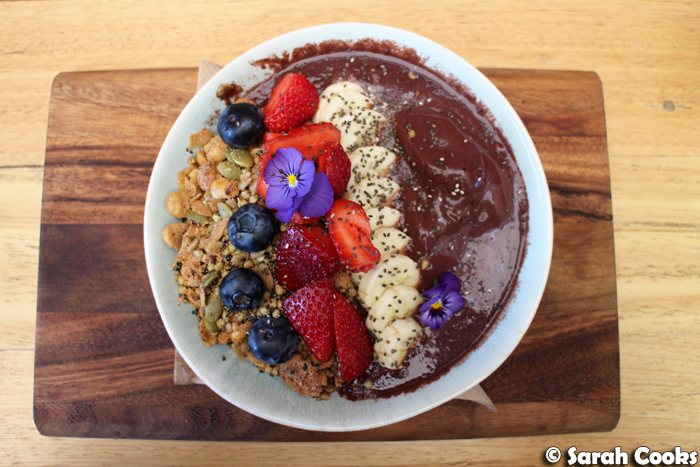 Melbourne is second to none for food. I live in Adelaide and I don't think Adelaide really has a brunch scene here. It's Sunday morning and I'm tempted to fly over to Melbourne this morning- (maybe if I can catch the next plane, I could be there on time for a Melbourne brunch)?